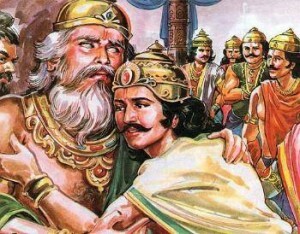 When the blind king Dritarashtra learned that the Pandavas have survived the fire in Varanavata and have gained a strong ally, King Drupada of Panchala by marrying his daughter Draupadi, he was in deep trouble. 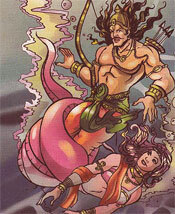 He had already declared Duryodhana to be the crown prince of Hastinapura. Now if the Pandavas come back to Hastinapura and demand the throne, what would he do? Listen to this exciting episode by clicking on the player below.